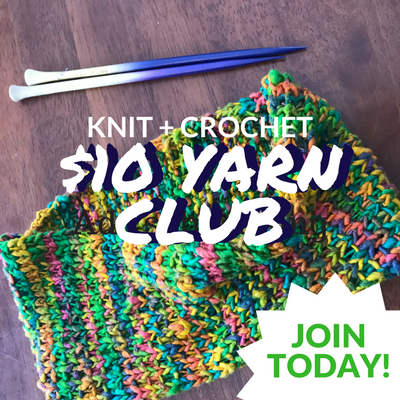 This week’s design is a part of Underground Crafter’s Hygge Home Crochet Along (which is always amazing to participate in these CALs because, do you see all the fantastic designers listed there? I feel like I’m way in over my head here with all this talent). Even better, Red Heart Yarns sponsored this CAL and I got the chance to try some yarn I’ve been eyeing for a while, Hygge Home. This post is not paid for my RHY, so the fact that I loved working with Hygge is not being bought. I’m actually going to be bringing you a hat in February using some Hygge yarn that I had left over from this project, it’s really just so soft! So… this design is a lot, right? I loved making it so much! It was so fun to really lean into making something with a lot of textures, some fun fringe, and then go with some tassels. A part of me thinks I should have added some pompoms to the top… which I might do, even though it’s hanging up in my living room right now. It actually works up so fast too. 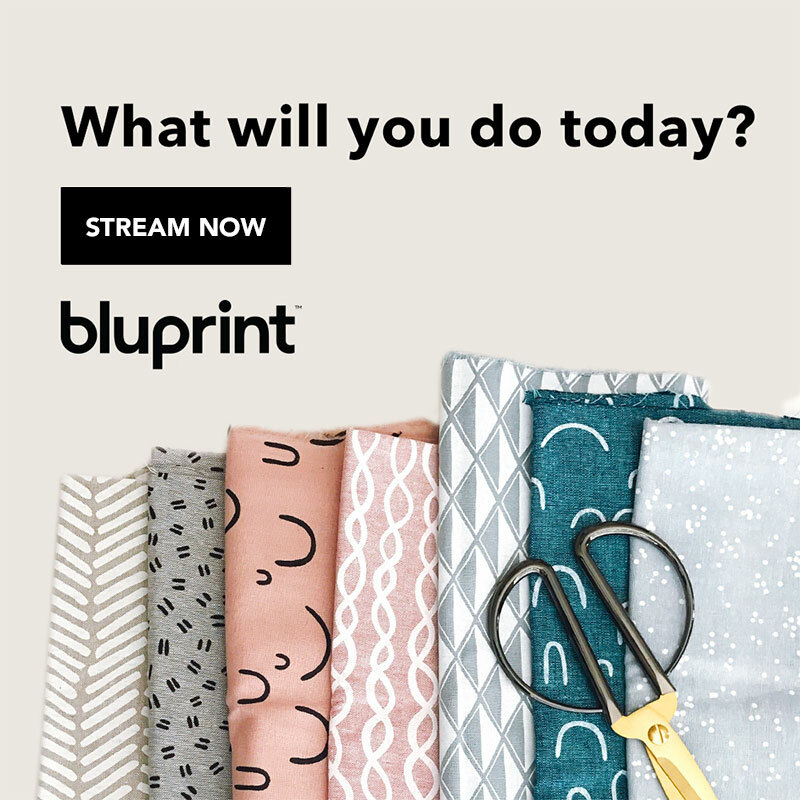 You don’t need to be worried about that part, it’s a lot of simple color changes that you can do row by row (just drop the inactive color and pick up the active as you go across the rows). I also got a chance to use the Horizontal Puff Stitch. Emily of Hooked Hazel used it when she made her Paired Path Shawl and I loved how it looked that I had to use it myself. Honestly, the decorations on top of the wall-hanging are what I love the most about this design. It will be different for everyone working! 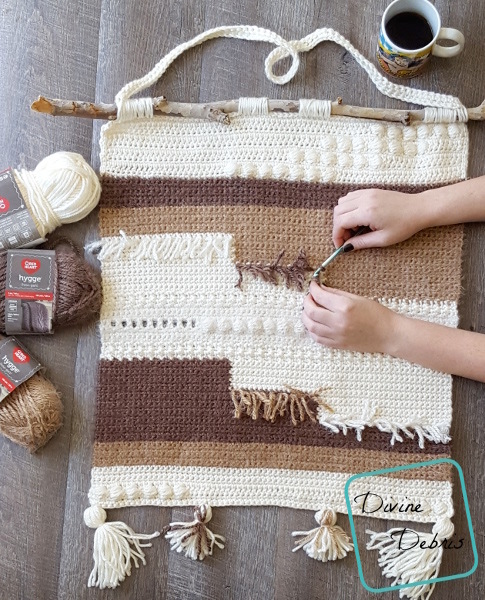 You can add fringe on the rows like me, you could do some surface crochet, you sew chains, you could do more tassels or poms… the options are endless and so fun! Thank you Ashley for becoming my newest patron on Patreon! Horizontal Puff Stitch (HPS): Dc into the next st, *yarn over, insert hook around the dc, pull up a loop (approx the height of 2 chs),* repeat from * to * 3 more times, yarn over, pull through all 9 loops on the hook. You will work into the puff (not the dc) when you work into this row later. If you’d prefer to replace this with another puff stitch, feel free to do so. Scc (single crochet cluster): (this stitch is worked into two stitches) insert your hook into the first st, pull up a loop, insert your hook into the next st, pull up a loop, yarn over, pull through all 3 loops on your hook, ch 1. This stitch is worked like a sc2tog and a ch 1 that count together as one stitch. When working into this stitch, you will work into the sctog and the ch 1 spaces. 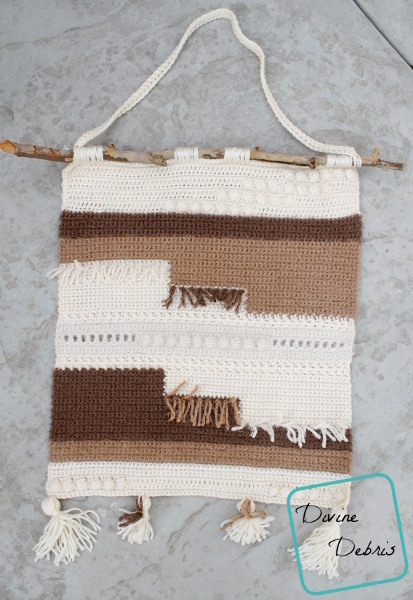 This pattern is worked from the top down, then secured to the stick, and finally you add the strap to hang it from. Then decorations are added as you’d like. The ch 1 at the beginning of some row does not count as a stitch. The ch 3 at the beginning of some rows does count as a stitch. 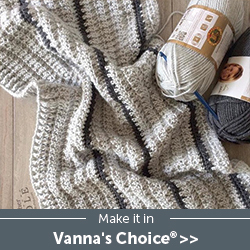 The yarn is not carried across the row in sections with multiple colors, instead the color not in use isdropped behind the project and picked up on the next row when it’s needed again. Color A is Cream (Red Heart Soft Essentials in Cream | 7.8 oz ), color B is darker brown (Red Heart Hygge in Latte | 3.2 oz), color C is Tan (Red Heart Hygge in Almond | 3.2 oz), and color D is Off-White (Red Heart Hygge in Pearl 1.4 oz). If you choose, you can block this before you attach it to a stick. I did, just to help loosen up the stitches and make it even on the edges. You can also add a row of slip sts to the chain side of Row 1 to help strengthen the row (I did this because I wasn’t crocheting the stick to the wall-hanging, just sewing it and worried it would sag). 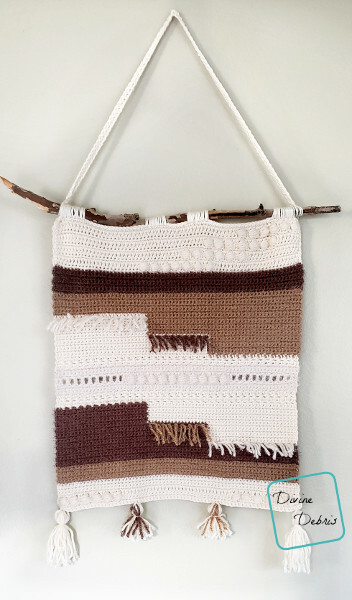 To attach your stick, you can do a row of single crochets like I did in my Be King Wall-Hanging or you can just cut a length of yarn and sew the stick to the first row in a few different spots. I chose the latter because I thought it helped give it a fun look and reinforce the hygge texture/style. Fasten off, leave long tails. Use your tails (and another length of yarn) to attach your strap to your stick. Have fun with this section! I added fringe to the “steps” part in a way that kind of mirrored the design, and some fun tassels to the bottom. You can also add surface crochet, pompoms, and any other fun method for creating interesting textures. TADA! There it is. I can’t wait to see what you all make of this fun design 😀 See ya next week!